S.J. Adams was born in 1975 in England. Adams grew up in Banbury, Oxfordshire, attended Banbury School and the University College of S. Martin. 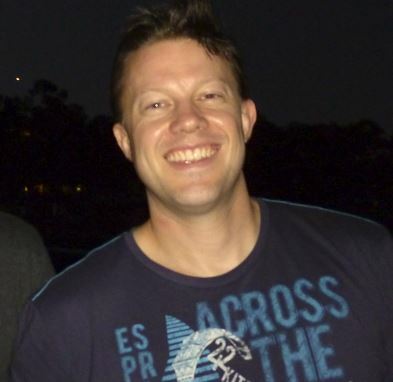 In 2004, he moved to Sydney, Australia. 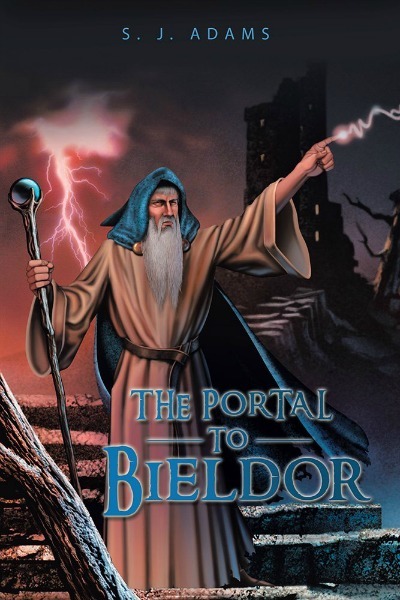 Returning briefly to England in 2008, it was here he wrote most of the storyline to his debut novel, The Portal to Bieldor. Timmy Atkins and Pete Rogers are polar opposites – Timmy is a bookworm and Pete is an athlete – and as such, the boys generally avoid each other’s company. When they are compelled to work together on a science experiment, the class bully alters their ingredients, causing a colossal explosion. Upon speaking to the boys, the headmaster realizes Timmy and Pete aren’t behind the prank and goes to collect the bully he knows is responsible – against the boys wishes. Meanwhile, the boys start poking around the headmaster’s office, find the portal and leave their school behind, not knowing where they are going. Stranded in an unfamiliar world filled with strange creatures, the two reluctant heroes are soon encouraged to lead a quest to overthrow an evil tyrant who has stolen the throne of Bieldor. In order to succeed – and survive – they must work together to battle not only the elements, but also the malevolent creatures that would see their quest end before it begins.